The calendars, being promoted as an ideal Christmas present at £8 (£2 postage if required), feature iconic shots of the town. All proceeds will go to East Lancashire Hospice, the running club’s charity for 2018. Shafiq is using his talent to get behind his home town and a fantastic cause. When he shares such fantastic images it really gives people a lift and sense of pride. We really encourage people to work with us through the Your Call initiative which is all about people giving something back to their community. This is another example of somebody doing that. Well done Blackburn Road Runners. Shafiq’s work always shows Blackburn off at its best. We use them at the Council as part of our work to promote the borough. I know his images have created a lot of interest locally on social media too. We wish the running club well with their fundraising. 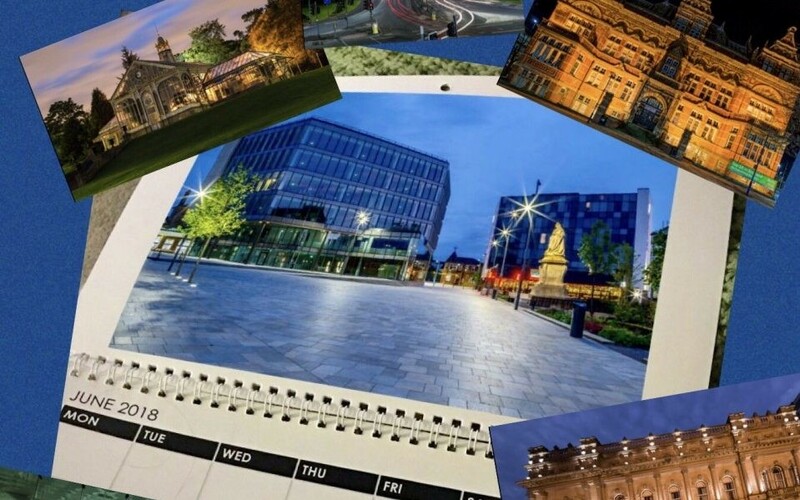 People can also call into Bridgfords Estate Agents, 9 Sudell Cross, BB1 7EB for immediate collection or Blackburn Visitor Centre will also be selling copies of the Blackburn Calendar.